In an unprecedented move, top Supreme Court judges convened a press conference on Friday and said that the situation in the apex court was "not in order" and many "less than desirable" things have taken place. Here are some of the controversial cases from the past. Controversies surrounding judges have blotted the higher judiciary on several occasions over serious allegations of graft and sexual harassment, with a sitting high court judge even being jailed for contempt of court. 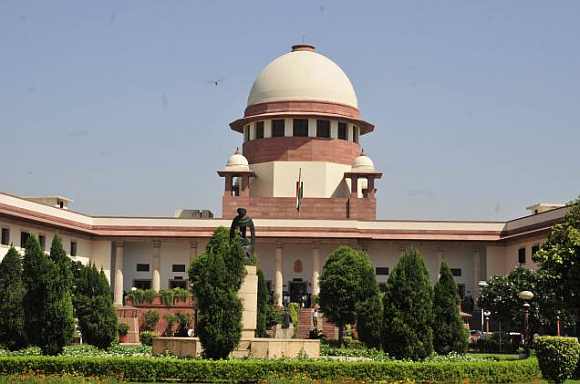 The judiciary was shaken when impeachment proceeding was initiated in 1993 against Supreme Court judge Justice V Ramaswami for alleged corruption. However, the impeachment motion brought up in the Lok Sabha had failed to secure the required two-thirds majority. In 2011, the Rajya Sabha had found Calcutta HC judge Justice Soumitra Sen guilty of financial misappropriation as a judge and of misrepresenting facts, which had led to the Upper House to vote in favour of his impeachment. But before the Lok Sabha could take up the impeachment proceedings, Justice Sen had tendered his resignation. In 2016, Justice Nagarjuna Reddy of the high court of Andhra Pradesh and Telangana courted controversy when 61 Rajya Sabha members moved a petition for his impeachment on charges of misusing his position to "victimise" a "Dalit" Judge. Later, nine of the 54 members of the Rajya Sabha, who had proposed the initiation of proceedings against him, withdrew their signatures. In a recent shocking event, another Calcutta high court judge Justice C S Karnan became the first sitting judge of a HC to be jailed for making defamatory remarks against the judiciary. Karnan underwent a six month jail term which ended in December last year. Karnan had described the collegium system as "autocratic", had hurled a volley of invectives at the chief justices of the Madras high court and shot off letters with "scandalous" comments against judges to top authorities. A storm, similar to the one triggered by Karnan, had also erupted in 2010 when a sitting judge of the Karnataka high court, Justice D V Shylendra Kumar, had called then Chief Justice of India K G Balakrishnan names when the judges of the higher judiciary were resisting making their assets public. Finally, when the judges declared their assets, a bombshell of sorts was dropped, as the apex court website showed that then sitting judge, Gyan Sudha Mishra, had declared her unmarried daughters as "liability". In another shocking remark, Karnataka high court judge Bhaktavatsala in 2012 had told a woman petitioner seeking divorce from her physically abusive husband, that all women suffer in marriages. Interestingly, there are several other judges who were in the spotlight with their controversies. The criticism of apex court judges by Justice Markandey Katju, who retired from the Supreme Court, did not go down well and he was directed to appear in person to explain his conduct of making such comments in his blog. In 2015, a group of 58 Rajya Sabha MPs moved an impeachment notice against Justice J B Pardiwala of Gujarat high court for his "objectionable remarks on the issue of reservation" while giving a ruling in a case against Patidar leader Hardik Patel. However, hours after the impeachment notice was sent to then Rajya Sabha Chairman Hamid Ansari, the judge removed his remarks from the judgement. Another judge who came under scanner for charges of land -grab, corruption and abuse of judicial office was Justice P D Dinakaran, Chief Justice of the Sikkim HC, who resigned in 2011 before impeachment proceedings could be initiated against him. The judiciary was also shamed when two retired judges of the Supreme Court were in the thick of a controversy relating to sexual harassment allegations levelled by law interns.